Students in this yearlong clinic advise and work directly with local nonprofit boards on a “legal health checkup” and other matters such as initial formation, establishing tax-exempt status, charitable solicitation, state/local taxation issues, contracts and continuing legal compliance. Class sessions will examine nonprofit governance principles through the lens of Virginia state and local laws applied to clients’ issues. "Check-in" sessions will support practical work for clients. Client communication, organization and document-writing and -editing skills are key to success in the course. Students produce a series of memos for their clients on topics covered in class. The form and content of these memos are determined after students identify and analyze their clients' legal issues in consultation with the course instructors. Students use Clio software to track their time and progress with the clients. In the 2015-16 clinic, students worked with nonprofit corporations in all stages of existence, from startup to well-established corporations. Students examined and analyzed incorporation documents, bylaws and IRS filings, including the IRS forms 1023 and 990, and drafted revisions to these documents. 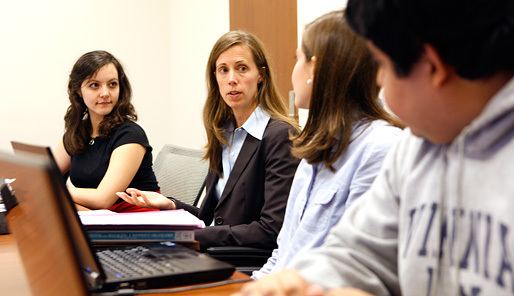 Students also provided legal guidance to clients on issues such as risk management, corporate governance practices, fundraising, and compliance with local, state and federal laws. The instructors also lecture on the history of public charities and the theory behind their recognition for federal tax exemption, the role of nonprofits as part of civil society, models of corporate governance, best practices in 501(c)(3) public charity management, seeking tax-exempt status, the purpose of audits and financial controls, political activity by nonprofits and risk management. Local leaders and experts on nonprofit issues are sometimes guest speakers.